I’ve been thinking a lot about when Peter, James, John, and the rest of the Twelve disciples accepted Jesus’ invitation to follow Him, they committed and dedicated themselves to patterning their lives on His. Me? I get out of bed and I meander to church for the 11:30 service on a Sunday morning and I somehow I want to get credit for my effort. Getting to service a somehow I have caught myself wanting to get a medal for my “commitment” and “dedication”. Is this what it really means to follow Christ? As I write this, I am ash amed of ever wanting “credit” for in my walk with Christ. I have always been amazed that these men gave up everything in this life to follow Him. I cannot imagine that type of commitment to follow Christ. In particular, I been drawn to the story of Peter walking on the water. Or more specifically his failure to walk on water. Each disciple would struggle to follow Christ. But struggling to follow Jesus’ example doesn’t make them failures. On the contrary, their mistakes and missteps show us an important dimension of what it means to follow Jesus. And I think that may be why Matthew tells the story of Peter’s attempt to walk on water. Like Mark, Matthew shares the story of Jesus walking on water. In both Gospels, the disciples have gone ahead of Jesus in a boat. The weather gets rough. In the predawn hours the disciples spot Jesus strolling across the lak e.
Scholars have concluded that he had a source that Mark lacked. But that still doesn’t explain why Matthew decided to include the episode in the larger story he was telling. My guess is that he wanted to show us what discipleship meant in light of what we had just learned about Jesus’ identity. Following an incarnate God means that we would be set an impossible example to most ordinary people. Jesus is urging us to walk on water. And He knows what that will mean for us. Let’s look more closely at the passage. We have all heard lots of sermons about Peter’s faith deficit. We’ve been told that if he had only had enough faith, he would never have sunk. Frequently we’re harangued about our own puny faith and told to buck up. Well, I don’t buy that. Faith does not grow by spiritual strain. It grows when we stretch ourselves to attempt to step out of the boat and attempt walk on water again and again. To do those things that Jesus teaches us to do when everybody around tells us we’re naive or just plain crazy. In truth, we grow in faith, when we get over ourselves and love our neighbor as if our own life depended on it. So, step outside the boat… sure you’re going to get wet, but it is in that commitment, dedication and desire to become like Christ that makes all the difference in the world. I believe our life depends on it. Everyone needs a place to go to be a kid. For my buddies and me, that place was ten minutes from home if you walked it. It was a world all its own. All the kids from that sleepy little Ohio town would gather there. It is where we grew up. 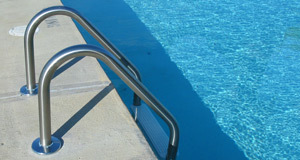 That summer, the place to be was Teagarden’s Pool in Oak Harbor, Ohio. So many things happened there… so many memories. But of course, none of it was permanent. Unless you count the flashes of images and thoughts of a time not cluttered with the responsibilities of adulthood. Each day was filled with the shrieks of laughter and catcalls, as me and all my friends would swim on endless summer days. Sure, they called it Teagarden’s Pool, but we knew better. That pool… belonged to us. 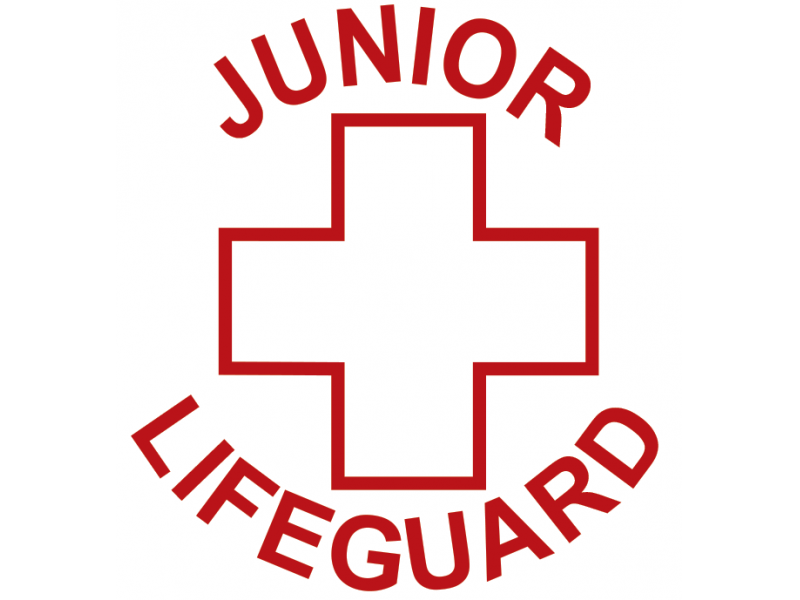 On one beautiful day in June, I was at the pool to take a Junior Lifesaving course. I had known how to swim since I was five. I had worked my way through the Tadpole, Guppy, Dolphin and Shark divisions. Now I was on my way to becoming a “lifeguard”. Looking back on it now, I probably took all of those classes because of the fact that they were taught by girls, not just any girls… but older girls… girls in bikinis. And on this particular day, this pretty girl was there to take the class. Now I knew all the girls in my age group from our little town of Oak Harbor, Ohio. But this girl wasn’t a girl that I knew… she was “new”. A rare find in our little town. I tried not to look like I was staring. I quickly looked away if I saw the slightest twitch that she may look in my direction. I sat there trying to look like I was paying attention to our “instructor-in-the-bikini”, but I couldn’t stop looking at the beautiful stranger that was dropped from heaven. Who was this new girl? Where was she from? Where was she living and more importantly was she staying? Apparently, I wasn’t the only one who eyes were fixated on the new visitor. I looked around the class and every hometown girl who was taking the class was staring as well. The evaluation was in full motion. As my eyes and all of the others boys were looking in approval, the other girls there were judgmental and critic al of new-found competition. As fate would have it, when it was time to break up into groups for our first activity of the class, I was placed in the same group with her. I couldn’t believe it, what luck! She was walking my way and my mind was racing a million miles per hour. I was going to be the first to talk to her. I was desperately trying to think of something witty to say, something profound. Something to break the ice… something to let her see I was a “cool” guy. No… I did not want to say these things… but I did. As a matter of fact, I said it without taking a breath and yes, I said this whole statement in less than 1.2 seconds. A world record I’m sure. She was just staring at me. The look on her face was evident that she thought she just met Oak Harbor’s village idiot. Her jaw dropped and I could see that she was trying not to laugh at the jumbled mess that just came out of my mouth. She was trying to respond, but could not for fear that she would make fun of the village idiot. So she spoke in precise, deliberate and painfully slow words. She spoke loud. You know, like when you talk to someone who is deaf or from a foreign country. Like somehow if she talked louder, I would be able to understand what she was saying. “MY NAME IS KAREN! !” she slowly exclaimed. It was evident that I lost any chance of convincing her that I was a normal “cool” guy. So I relaxed. I interrupted her and told her that I wasn’t deaf and I was at least smart enough to follow what she was saying. I tried to be coy and told her I might not understand everything she said but I would at least try. She told me she was 15 and was from Cleveland. She was camping at a local campground for few weeks with her grandparents. She was bored at the campground so they let her take this class. I was so glad that she didn’t catch me staring at her. I mean, I already made an absolute fool out of myself; I did not want her to think I was a pervert as well. Maybe she was just a kind-hearted soul that took pity on village idiots or she indeed liked being with me, because for the next two weeks we were inseparable. I would wake each morning and hurry down to the pool at 8:00 AM and sure enough there she would be waiting there for me. After class we would stay at the pool until it closed that night. We would swim and talk for hours. We never left the pool. Karen told me about everything in her life. She told me about her school, her friends and her family. She never had or wanted a boyfriend. She told me how her father died when she was two and her mom had recently remarried a man she did not like. He made her feel uncomfortable. Always making comments and touching her in ways that made her feel uneasy. That was really why she was in Oak Harbor in the first place. She was trying to get away from some things she did not want to deal with. We talked and talked. I didn’t mind. She told me things that she said she never told anyone else. I guess in some way, I made her feel comfortable. Maybe she knew that she could say exactly what was on her mind and not feel judged because of it. She was sharing her memories, feelings and her dreams as she spoke them to me. At times, she would just stop talking and get real quiet. She wanted me to just to talk to her about my life. We would talk about my brother’s death and life in a small town. We talked about religion and what we believed. We shared our love for music and what we wanted to do for the rest of our lives. It was special because we could talk, knowing that we could say anything and we would not be judged like we would have been had we been talking to our friends that we grew up with. And we both knew… it wouldn’t last forever. Soon that inevitable time came upon us and neither one of us wanted to admit was taking place. She had two more days before she was going to go back home. It was Friday and she would have to leave Sunday morning. As the pool closed that warm summer Friday night, we stayed a little longer talking at the gate before her grandparents picked her up. She looked nervous and I asked her what was wrong. She just looked at me and stared. With the sun setting in the distance and the color of her blue eyes reflecting off the last remaining rays of light, she looked up and kissed me. No… it wasn’t my first kiss. Maybe it was her first kiss, I don’t know. But I do know that this was different. This was not about a boy and a girl. For in fact, in the two weeks we spent together we had not as much as held hands. This was about friendship and the special time we spent together. Karen placed a letter in my hand and asked me to promise not to open it until I got home that night. We had one more day together and we made plans to meet the next day at the pool, like always. And in an instant she was gone. I took my time walking home that summer night. I wanted to remember and etch it in my memory. I read her letter. She wrote of our first meeting at the pool. She told me that she thought it was cute how I kept staring at her that first day and how I tried to look away when she looked over at me. She had caught me staring!! I thought I had hidden it. She talked about the pool and all of our talks we had. She told me she would miss me. She told me goodbye. Her grandparents were leaving early on Saturday morning, not Sunday. She wouldn’t be coming back to the pool. I knew at that moment, that life was not fair. In the haste of the last night together, I never got her address. It was hopeless. When you’re fifteen, Cleveland is so far away. It might as well have been on the other side of the world. I’d never felt like that before in my entire life. The next day I ran down to the pool in the fleeting hope that she would be there. Maybe there was a chance she would stop by before she left for home. She wouldn’t come to the pool that day. Our time together that summer was over. That was 40 years ago. Even today, I think about a friendship that lasted for two weeks that I have carried with me for all these years. I wonder what ever happened to her. I wonder what would she be doing now and if some of her dreams came true. I wonder if she still thinks about a skinny kid from Oak Harbor, Ohio. I kept that letter she wrote me in an old shoe box. Over the years, I took it out every now and then, unfolded the tattered, yellowed pages and I was immediately taken back to another place and time. Suddenly for a few moments, I was fifteen again and life wasn’t filled with the responsibilities I have today. I have no idea where that letter is today. It was probably thrown out with the trash when I wasn’t paying attention to what was in that old shoe box. But I still have the memory. Memory has a way of holding onto the things you love, the things you are and the things you never want to lose. Cause when you’re fifteen, it’s a long way to Cleveland.